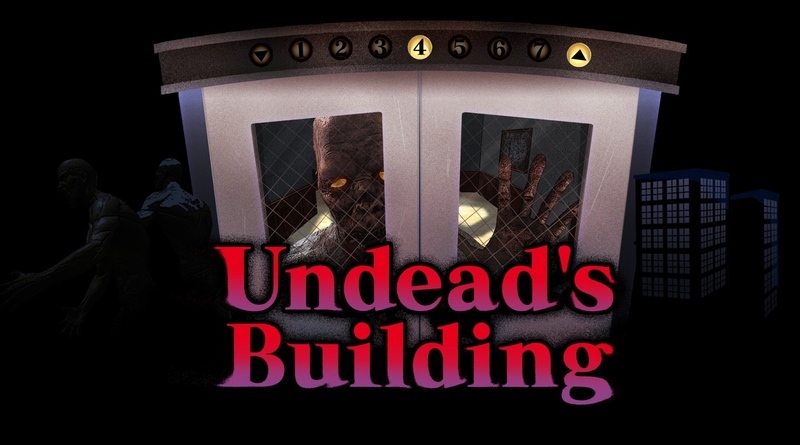 Undead’s Building gives a quirky edge to the zombie genre of games. The game is set in an apartment complex, where you must use an elevator to help rescue survivors and help them out of the apartment. Tossing away the generic blood and gore shooters you would expect from the genre, this game aims to bring a unique experience to the field. Unfortunately just being different from other games isn’t enough to guarantee a fun experience. The gameplay in Undead’s Building is simple, yet it requires a bit of multitasking. You flip between two screens: one screen views a camera layout of the level, while the other screen controls the elevator. You’ll have to constantly switch between the two in order to know which floors have survivors left, as well as to move the elevator from floor to floor. Beyond selecting a floor there really isn’t much else you can control. You can press a button to make the elevator doors shut faster, which comes in handy when you need to rush the elevator to another floor. At first, the game can be a lot of fun. It’s a neat concept that is done well enough, but after about 30 minutes or so the repetition sets in and you realize there’s just not much here for the game to offer. Nothing changes gameplay-wise as you progress in the game. No new enemies or obstacles, no gimmicks, and no traps you could set off to help the survivors are introduced. It’s obvious the developers included the absolute minimum they could with the gameplay, and that means it wears out its welcome way faster than it should. What also doesn’t help is the lack of content in the game. Beyond the repetitive gameplay, there’s also the issue of the game only having seven levels. The only discernible difference between the levels is that there are more survivors to rescue across more floors and the zombies are quicker. These small changes are barely noticeable and honestly most people will probably be done with the game in an hour or so, with little incentive to come back and play again. Even a small thing like extra game modes or unlockables would have probably been enough to revisit the game. While Undead’s Building is severely lacking content and variety, the one thing this game deserves credit for is its charm. It’s such a weird idea of a game, and the developers seemed to have had a lot of fun with it. There are some nods to the game’s quirkiness, like how when a survivor makes it into the elevator, they will give you a thumbs up or some kind of silly pose that seems way too goofy for someone who just barely survived being eaten alive by the other residents of the apartment. Bits like that earn the game some brownie points. The lack of polish in the game is apparent throughout, including the cheap menu designs and the lackluster soundtrack. Other glitches crop up as well. One annoying problem I occasionally ran into was the elevator doors sometimes wouldn’t open on a floor. It wasn’t until I move to another floor and came back that they would work. An issue like this wouldn’t be too bad if it happened just once or twice, but when it happens occasionally it really hurts the experience of the game. Add all of this up and the title just doesn’t quite cut it. It’s not horrible, but it’s nothing too special either. It needed more time in the oven for it to rate any higher than mediocre. Undead’s Building is a neat and quirky concept that just wasn’t taken far enough. The gameplay gets stale fast, and the lack of content doesn’t help that. There are some charming aspects, but this one needed more development time to become something truly special.